"Today, USD/INR pair is expected to quote in the range of 70.70 and 71.40," Gaurang Somaiya, Research Analyst (Currency) at MOFSL added. 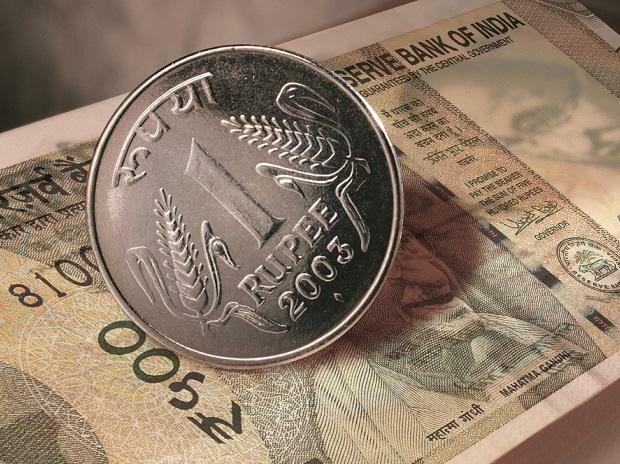 The rupee opened 17 paise higher at 70.95 against the US dollar on Thursday. In the previous session, the domestic unit ended almost flat at 71.12 as traders awaited cues from key upcoming events like US Fed policy and India's Union Budget. On Wednesday, rupee came under pressure against the greenback ahead of the key FOMC policy statement that was released late evening yesterday as well as ahead of the interim budget announcement scheduled tomorrow. Today, on the domestic front, market participants will be keeping an eye on the fiscal deficit number for December; better-than-expected data could extend gains for the rupee, said Gaurang Somaiya, Research Analyst (Currency) at Motilal Oswal Financial Services. "Today, USD/INR pair is expected to quote in the range of 70.70 and 71.40," Somaiya added. On the global front, Asia stocks rose to a four-month high, tracking Wall Street, after the Federal Reserve pledged to be patient with further interest rate hikes, signaling a potential end to its tightening cycle amid signs of slowing global growth. MSCI’s broadest index of Asia-Pacific shares outside Japan rose to its highest since Oct. 4 and was last up 0.4 per cent. Oil prices rose as US government data that showed signs of tightening supply and investors remained concerned about supply disruptions following US sanctions on Venezuela’s oil industry. US crude futures rose 92 cents to settle at $54.23 a barrel, a 1.73 per cent gain. Brent crude futures gained 33 cents, or 0.54 per cent, to $61.65 a barrel. Back home, the domestic equity opened in the green. At 09:28 am, the S&P BSE Sensex was trading 211 points higher at 35,802 while the NSE's Nifty50 index was ruling at 10,697.45, up 45.65 points or 0.43 per cent.